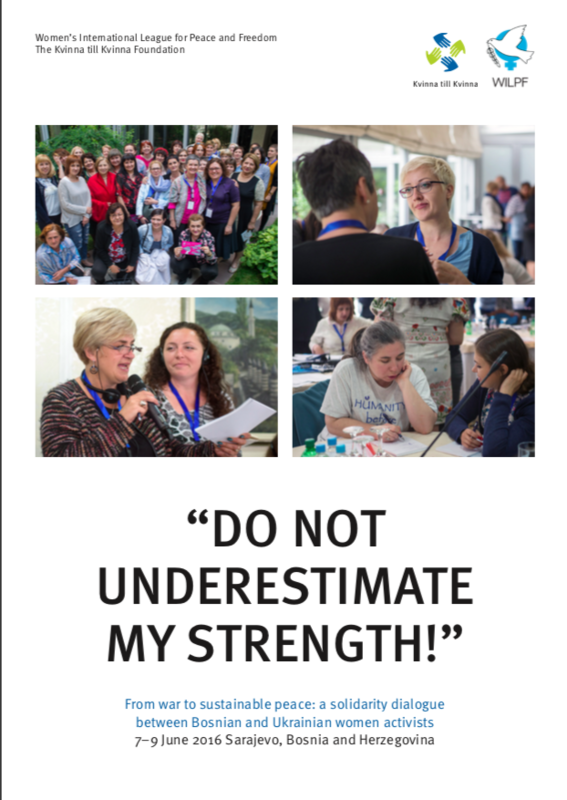 The report “Do not underestimate my strength!” is written by Kvinna till Kvinna and WILPF. It is based on a solidarity exchange between women’s rights activists from Ukraine and Bosnia & Herzegovina, which took place between 7 and 9 June in Sarajevo. The issues discussed in the report include peacebuilding, justice and gender-based violence.